This award-winning pub sits on its own 26 acre lake and is big on supporting the local community which means fresh products from local farms and butchers. They even have their own chickens, goats, ducks, turkeys and a pig called Lily. 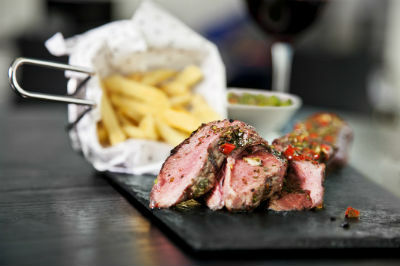 The scrumptious menu includes smart ham, egg and chips alongside chargrilled rib eye steak. A nice touch to the menu is seeing the list of desserts first so you know just how much room to save. CAU’s speciality is beautiful high quality steak made from mouth-watering Argentian beef but that’s not all that this relaxed, stylish restaurant offers. The menu includes steamed mussels, grilled pork cutlet and fillets of sea bass. It would, however, be a crime to ignore the steak section which offers speciality cuts such as sirloin steak in a churrasco marinade, spiral cut rib-eye steak, and the fillet of rump. This French Brasserie has a relaxed atmosphere and a delicious menu that offers breakfast, lunch and dinner, and menus are regularly updated. Dishes include duck and pork cassoulet, pan-roasted breast of guinea fowl and, of course, l’escargots. If you’re looking for a good pub lunch then the Inn On The Lake in Godalming will welcome you with traditional and modern British dishes such as pork belly braised in marmalade, battered haddock complete with frites and minted mushy peas, and a range of delicious pizza and pasta dishes. This 16th century Tudor farmhouse opened as a restaurant in 2012 and has quickly become popular with a contemporary European menu that boasts roasted halibut, loin, leg and saddle of Hampshire rabbit, crab and a selection of puddings that make the mouth water. their various traditional British mains. This popular restaurant is relaxed, friendly and offers a huge variety of dishes. Enjoy delicacies like marinated charcoal-grilled duck cooked in spicy sauce, garlic chilli masala and, for the brave, king prawn cooked with green chillies and special spices. If you’re a fan make sure you pick up the restaurant’s loyalty card. Surrounded by beautiful countryside, The Three Horseshoes was almost sold off to a developer before the local villagers got together and bought it to keep it from closure. It now serves up some fabulous food, all made on location with fresh local ingredients, including favourites such as pork and leek sausages, beef short ribs braised in red wine, and wild boar. 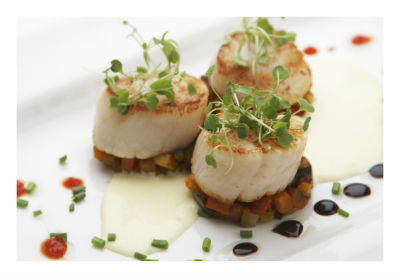 For those after an elegant dining experience for a special occasion, The Bingham fits the bill. With three AA Rosettes to its name, the restaurant offers al fresco summer dining on a heated balcony. Enjoy British cuisine at its best with dishes such as glazed pork and smoked eel risotto, as well as a cheese counter that offers local artisan cheeses. If you’re looking for a pub with history then The Barn at Alford is the place for you. Built in 1590, the barn had connections with the Canadian Air Force during Word War II and became a haunt of airmen when it had an incarnationas a tea room in the 1940’s. Locally sourced produce is a priority, notably the cheese produced by a family down the road, and staff even take fish requests for their visits to Billingsgate Fish Market. The menu changes daily but look out for offerings such as slow roasted shoulder of Sussex lamb, British lobster salad and a delicious variety of pies. Fran, the chef, also takes special recipe requests from vegetarians.